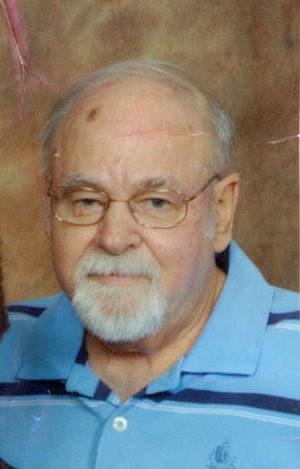 Cliff Detweiler, age 71 of Gettysburg, died Thursday, Oct. 30, 2014 at his home after a brief illness. He was born in Lansdale, Pa., on Aug. 14, 1943, the son of the late Raymond and Anna (Moll) Detweiler. Cliff was raised on a dairy farm in Chalfont, Pa., and graduated from Central Bucks High School. He was a veteran of the Vietnam War serving with the U. S. Army’s 25th Infantry Division as a Tank Driver. Following service he went to work for PECO (old Philadelphia Electric Company from which he retired after 27 years of service. His love of history, especially the Civil War, prompted his move to Gettysburg and his taking of the the Licensed Battlefield Guide Exam. He was licensed in November of 2000 and received Badge No. 171. He served as a guide up until his death though illness limited his ability to guide his last year. Cliff is survived by his wife of 30 years, Carol J. (Schmidt) Detweiler; a niece, Elizabeth and husband Guillermo; two nephews, Christopher and wife Becky and Hans and wife Julieanne; six great nieces and nephews; and his sister-in-law, Mary Jo Detweiler. He was predeceased by his two half-brothers, William and Robert Detweiler. Funeral services will be held on Friday, Nov. 7, 2014 at 2 p.m. from St. Peter’s Evangelical Lutheran Church, 1530 Augsburg Dr., Hilltown, Pa. with Rev. Joseph Varsanyi, officiating. Burial will be in St. Peter’s Union Cemetery. The family will receive friends on Friday at the church from 1-2 p.m. and on Thursday, Nov. 6, 2014 from 6-8 p.m. at the Monahan Funeral Home, 125 Carlisle St., Gettysburg. In lieu of flowers, memorials can be made to the National Trust for Historical Preservation, 2600 Virginia Avenue NW, Suite 1000, Washington, DC 20037 or The American Cancer Society, 924 N. Colonial Avenue, York, PA 17403. Online tributes and condolences can be made at monahanfuneralhome.com.